Do you have a patio or a terrace that you have been neglecting, and now it has turned into a sad-looking, slippery, weeds-infested nightmare? Then you need to hire a professional patio cleaning service to take care of it properly. Do not attempt doing it on your own, our company is a cleaning services provider and we are offering you to hire our professional patio cleaning service, it will save you time, energy and money. 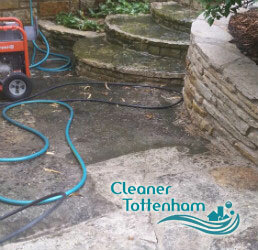 Give us a call now, because we are have the best cleaning services in Tottenham N17. We all know that patios are not easily maintained by non-professionals, and that even the weather can cause problems and discolouration to all types of patio materials. If you wish your patio could always look brand new and fresh, give us a call now and hire our unequalled patio cleaning service. With us you will get to enjoy the many benefits that come with it, and you will get a high-quality and efficient patio cleaning service for a very attractive and economical price. Our cleaners use modern pressure washing machines that can effectively clean sandstone, marble, slate, concrete, limestone, granite, etc from moss, algae, weeds, dust, grime, grease, and many more cleaning problems. Hurry up and book one of our teams. 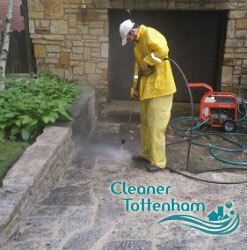 We have the best and most experienced cleaners in Tottenham working for us. We promise you will not be disappointed or dissatisfied with their work. Call us now.